(NOVA). 55 min. PBS. 2017. $24.99. ISBN 9781531700256. Gr 6 Up—The master craftsmen making armor 500 years ago had techniques and skills that are still being unraveled today. As weaponry advanced from spear to crossbow to gunpowder-propelled projectile, protective body coverings needed to advance as well. There are suits of armor in museums that are not only beautiful but appear to have withstood medieval gunshots. Expert analysis using 21st-century methods reveal that medieval metal workers had design innovations that took sophisticated energy-absorption principles into account; their metal tempering skills changed the alloys at molecular levels. Can a modern-day blacksmith and a master armorer use raw ore and medieval methods to create armor as beautiful, strong, and functional as armor from the 1500s? 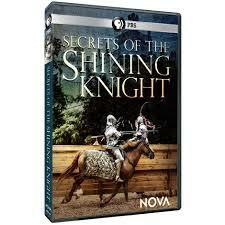 The narration uses historic drawings and modern reenactments, interwoven with fascinating interviews with experts from England and the United States, to give a history of knights, armor, and the weapons devised to pierce it, with a strong focus on metal craft at the scientific level. VERDICT With excellent production value, this program will likely hold students' attention. There are also elements of interest for clothing and product design students as well.